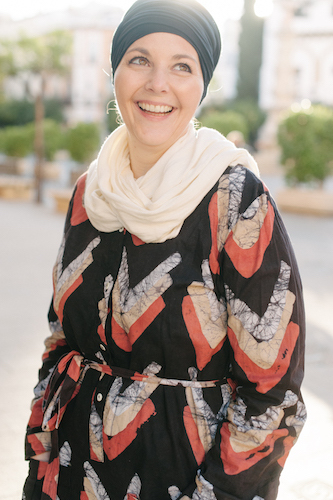 I’ll be welcoming a few guest bloggers this month to share their Morocco ideas and experiences. This post is from Esther of Mooistestedentrips. A visit to Marrakech is a boost for all your senses. 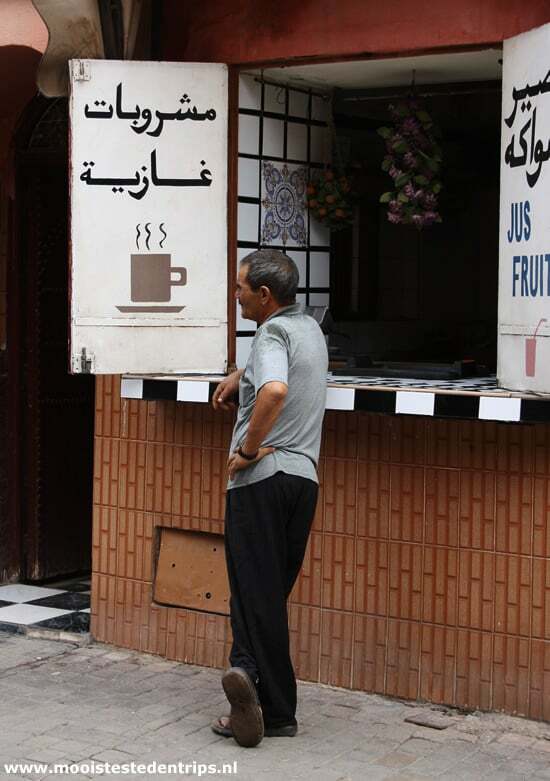 You’ll spend your time in Marrakech seeing, hearing, tasting and feeling the best Morocco has to offer. It was such a relief to arrive in Marrakech after traveling through Morocco for 3 weeks. Now, don’t get me wrong. I loved Morocco. The scenery was breath taking, our overnight stay in the Sahara was a night I’ll never forget and the Imperial Cities were colorful mazes full of interesting buildings, shops and people. And yet, arriving in Marrakech felt like a warm bath. The atmosphere is a little more European, the city is quite modern, the people speak more languages and it was easier to get around in. My husband and I spent our most perfect day in Morocco – in Marrakech. A place for harems, grand viziers and sultans. The best way to discover Marrakech is to dive right in. Good places to start are the Saädian Tombs and the Palais de Bahia, these are two places that reflect the rich history of the city. For centuries the tombs were hidden treasures and they are still a bit of a mystery. They date back to the 16th century. Many sultans and their family members are buried here, but no one really knows for sure how many. The tombs were rediscovered in 1917 en beautifully restored. 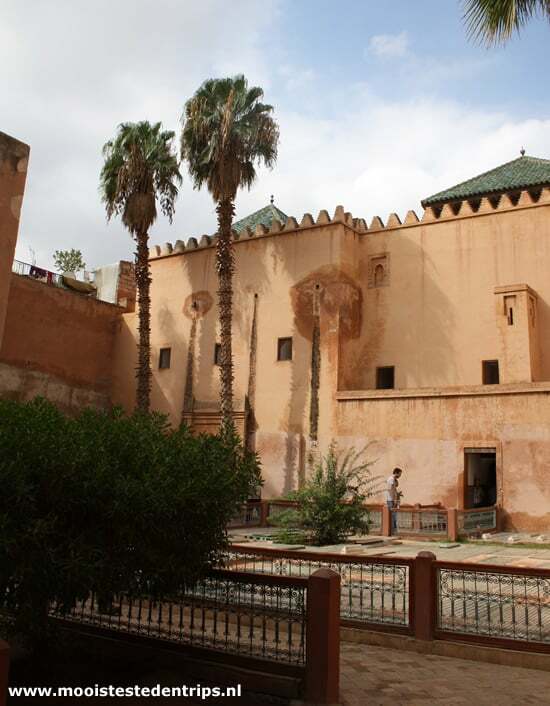 Palais de Bahia was the palace of Grand Vizier Si Moussa and his many (many!) wives and concubines. Even though only a small portion of the 8 hectares and 150 rooms are open to the public it’s still well worth a visit. The Palais is a wonderful place to stroll through courtyards and gardens, while admiring the mosaics and plants. 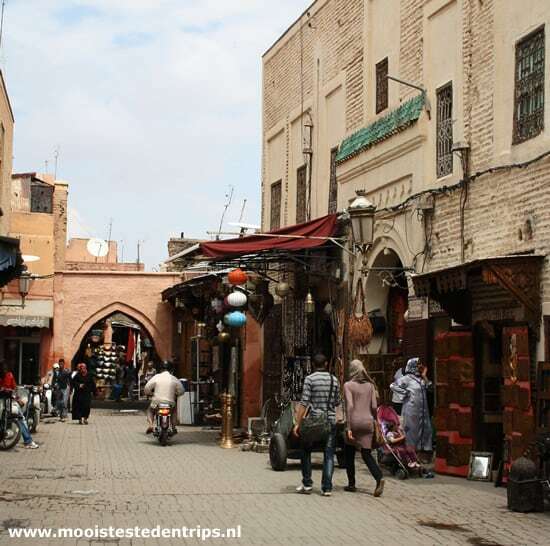 Marrakech is a famous for its medina, the labyrinth of streets and souks hold hundreds of great shops and markets. The medina is a great place to shop for leather goods, such as shoes and bags, silverware and ceramics. Don’t forget to haggle! After visiting, and getting lost many times, in the medina of Fez I found the medina in Marrakech easy to visit and navigate through. The best place to really soak up the atmosphere of the media is the roof terrace of Terasse des Épice where you can have an extended lunch or coffee and cake. In the afternoon it’s a good idea to visit Jardin Majorelle, the lovely and colorful gardens Yves St. Laurent gave to the city after he passed away. Take your time to wander through the gardens, see all the exotic plants and trees and visit the impressive Berber Museum on the premises. After that it’s time for a drink at Kosybar in the old city, overlooking the storks that are building nests on the remnants of a palace. Dinner at the bustling Djeema el Fna square with hundreds of food stalls, snake charmers, henna painters and acrobats is something you really shouldn’t miss when you’re in Marrakech. A lot of tourists are afraid to have dinner at the food stalls, but I’d really like to reassure people who have their doubts. (Note: MarocMama recommends stalls 93 for grilled foods and stall 14 for seafood) Some of the food stalls sell high quality food and sell (non-alcoholic) drinks that are sealed. Just try some kebabs and cooked or fried foods. If you’re afraid to get sick or of you have a sensitive stomach stay away from the salads or just try some sweets from nearby patisseries for a snack. They’re also a great dessert. Not so brave? In that case I can whole-heartily recommend Café Arabe, tucked away in the medina. It has a really interesting menu, a combination of traditional Moroccan food and Italian cuisine. The view from their rooftop can’t be beaten. 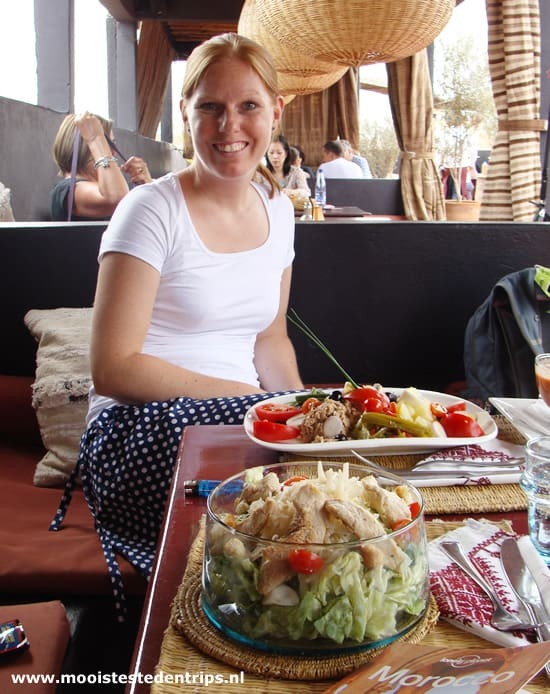 About the Author: Esther de Beer, is a journalist and (online) publisher from The Netherlands. she blogs about the most beautiful cities at Mooistestedentrips.nl and loves boutiques, vintage, and food. wonderful read! and tips! can’t wait for our trip! Thanks Esther.